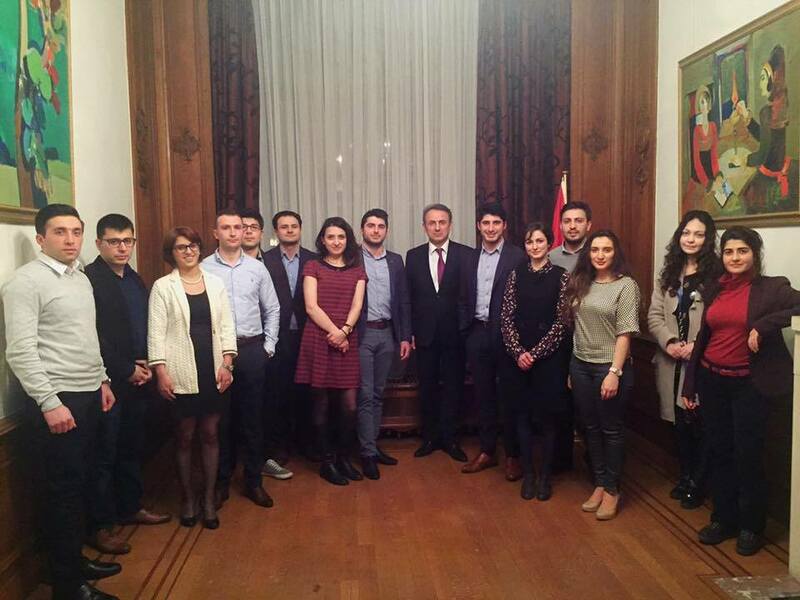 On Wednesday 15th of March, AGBU Young Professionals of Belgium were received at the Armenian Embassy in Brussels by H.E. Mr. Tatoul Markarian, Head of the Mission of Armenia to the European Union, Ambassador of Armenia to Belgium and Luxembourg, for an exclusive edition of their Fireside Chat series. Ambassador Markarian spoke on the development of Armenia, its foreign policy, the activities of Armenia’s diplomatic mission in Brussels and a number of other topics, which was followed by an interesting discussion. The Young Professionals present at the event were interested to find out where they can be involved today or work on in the future. The pleasant meeting was concluded with a small reception and informal chats with Embassy officials and staff.